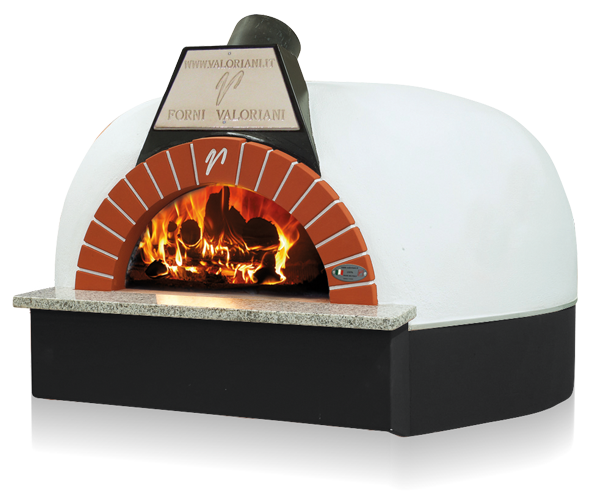 The Vesuvio Igloo UK specification oven series, Licensed by DEFRA, is housed in a rendered casing that includes the upper and lower insulation and a marble shelf. The Igloo can be ready to be installed in a day if it can be delivered and put in place by fork lift truck, crane or other lifting equipment. Alternatively, it can be assembled in situ by our artisan installation team and takes 2/3 days to install. The oven comes with a factory prepared steel stand at the optimum working height, but it can be installed on your own suitable table or base.